Can I Recover Data from My SanDisk USB Flash Drive? I have a 1G Sandisk USB Flash Drive that I have backed up some data on it about 4 weeks ago. Some days ago I deleted these files and I haven’t used the drive since then. I’m wondering how I can recover files from my SanDisk flash drive. All my important files were on it, please help! Ok, it seems your issue is really a serious one. Do not be too worried, since you said you have not used your SanDisk flash drive after you deleted the data, you can possibly retrieve your deleted files. 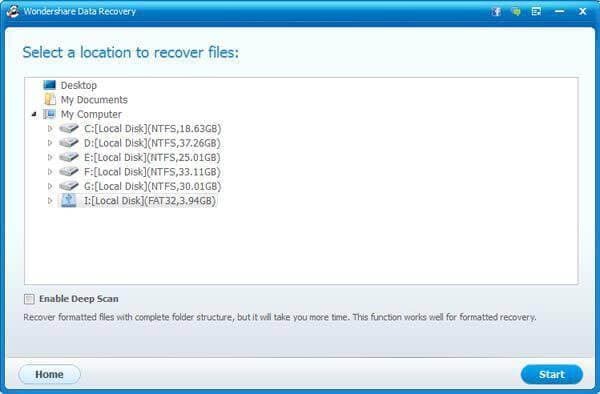 All you need is SanDisk Flash Drive Recovery software. Wondershare Data Recovery, or Wondershare Data Recovery for Mac is one of the best programs to solve your data loss issue. This software is fully compatible with Windows computer and Mac. With its help, you can easily restore images, audios, videos, office documents, archive files from your SanDisk flash drive. 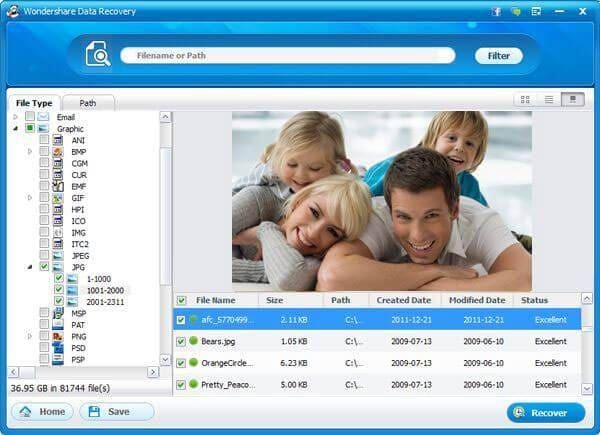 Download the trial version of Wondershare Data Recovery software first. 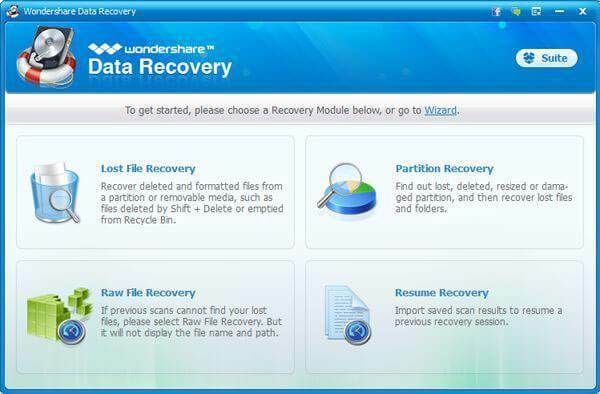 Now let’s perform the recovery with Wondershare Data Recovery for Windows users. If you are a Mac user, please download the Mac version. Firstly you need to connect your SanDisk flash drive with your computer and be sure that it can be recognized as a hard drive on your computer. Then launch the program, you will see a window that offers 3 recovery modes for you. You can select “Lost File Recovery” mode to start the recovery. The program will then list all hard drives on your computer, including your SanDisk flash drive. You just need to select the one for your SanDisk flash drive and click “Scan” to continue. The program will search your flash drive automatically.. When the scan is finished, the found contents will be listed in category and path. You can check them one by one so as to make sure whether they are what you are going to recover or not. In the end, you can recover them selectively and save them to your computer by clicking “Recover”. Note: Please do not save the recovered files back to your SanDisk flash drive immediately after the recovery. Otherwise they might all be overwritten.